A clinical study of LATISSE’s effectiveness was conducted across the country including 278 participants. The study showed that after completing the 16-week process, 78% of participants showed differences in their overall lash prominence, including thickness, length and fullness. 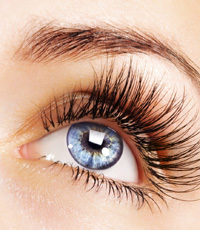 The most common side effect associated with LATISSE is eye redness and/or an itching sensation in the eye, experienced by 4% of users. Other side effects include: skin darkening at application sight, increased brown pigmentation of the colored part of the eye, and possible hair growth outside of desired area. Contact Drs. Jacob, Anderson, Wang, Minhas, Kirak, Guajardo, Griffiths or Lopez if you experience any of these symptoms.